I had wrote in an earlier post but forgot to mention that a way I know for sure I am in an episode is if I pinch myself in the dream. If you pinch yourself in the dream it will feel numb and like butterflies, when in real life it'll obviously hurt. Sometimes, especially for one who has many episodes, people may be confused when they are or are not really dreaming. This helps sometimes: a way that I keep myself from seeing anything frightening is by shutting my eyes tightly. The less you see the faster your SP episode will be over. For the past two weeks I've had an episode almost every morning. I already know by now that as much as I scream for help or try grabbing the person next to me, they usually won't hear you. You just have to shut your eyes and wait for it to pass. These episodes I've had have been strange, because I wake up in the morning, and feel the SP pulling me back into an episode. 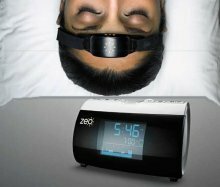 Kevin: Thanks for sharing your sleep paralysis strategies Crystal, I hope they prove valuable to our visitors. It sounds like the solutions you've found for yourself are based on actually moving (or at least moving your dream "body"). That's interesting. Does this mean these dreams your talking about then transition to an episode of paralysis, where you can't move at all? While communicating with your bed partner hasn't worked out for you, I've heard stories from people who do that regularly, and have their spouses help shake them out of an episode. 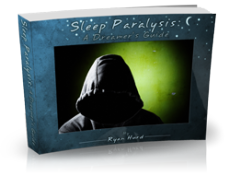 One such person is dream researcher Ryan Hurd, and if you're interested in more sleep paralysis treatment strategies you can check out his book here.